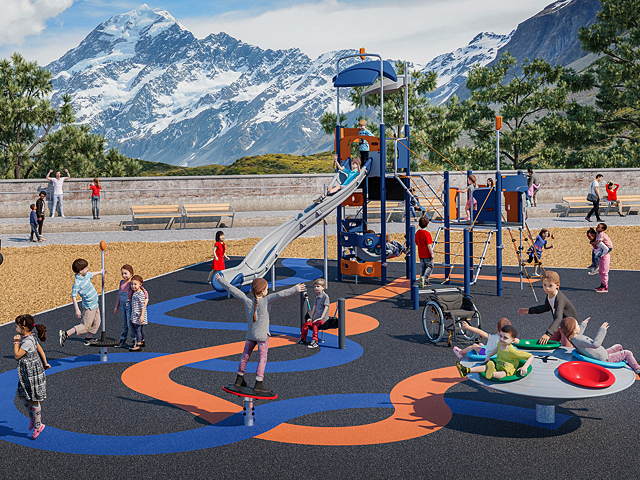 Parkequip offers a premium-quality manufacture and installation service for a range of playgrounds, public realm, and outdoor fitness facilities that are highly sought after by developers, councils and specifiers. 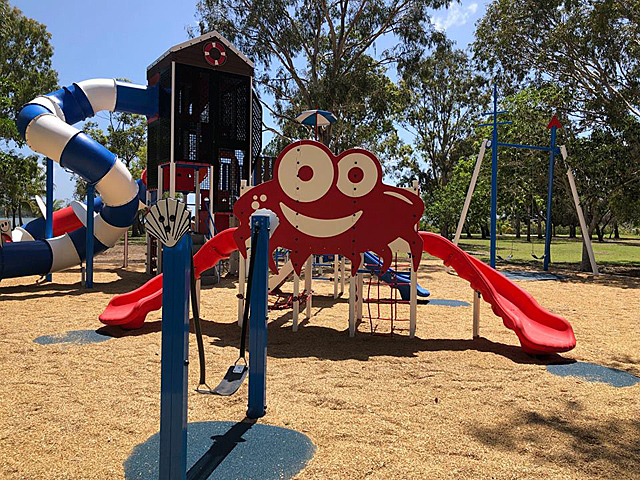 The team at Parkequip has nearly two decades of experience designing and installing products that enhance public and private facilities in Australia. 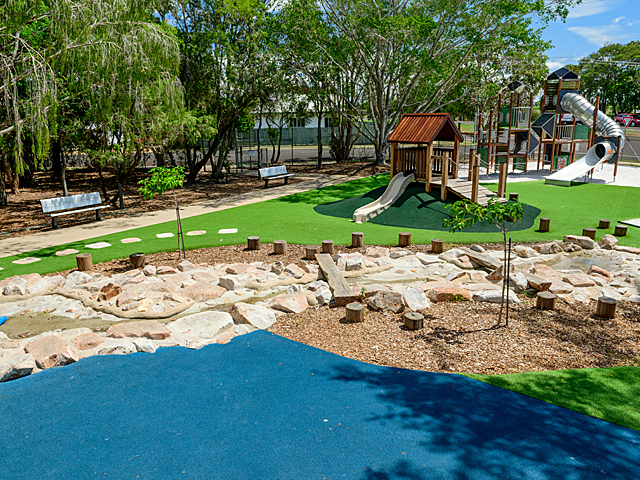 The company is often sought out by councils, schools, childcare centres, tourist parks, and developers for their quality products and systems. 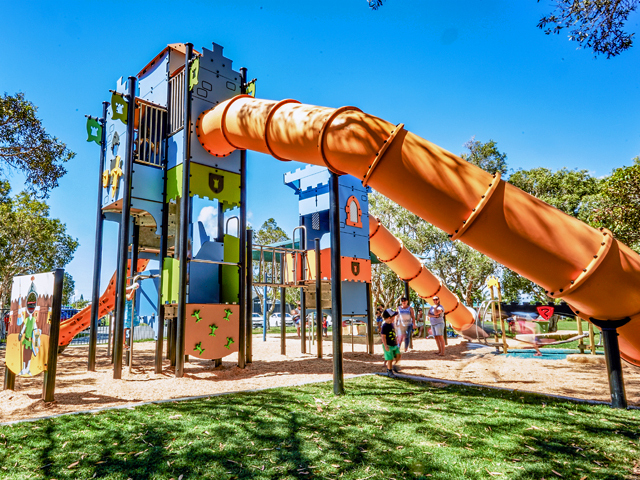 While Parkequip is renowned for their installations of Waterplay® waterparks - such as the recently installed splash park in the Barossa Valley – the company also offer the following design and installation services. 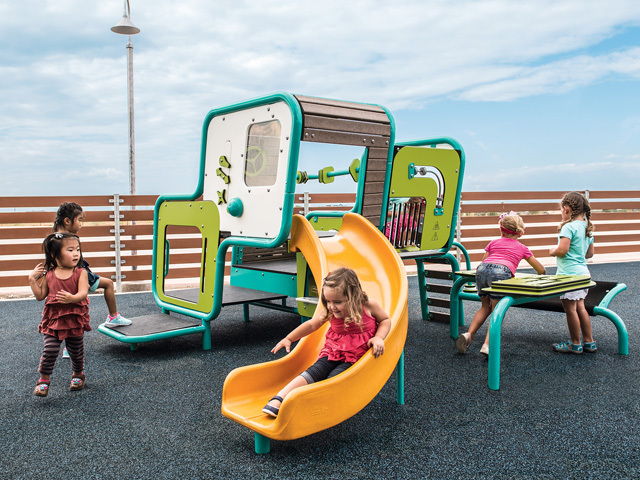 Playground Systems | Parkequip has a play system to suit every need. For children aged 2 -5, the WEEVOS system is designed to meet the unique physical, cognitive, sensory, and motor needs of this age group. 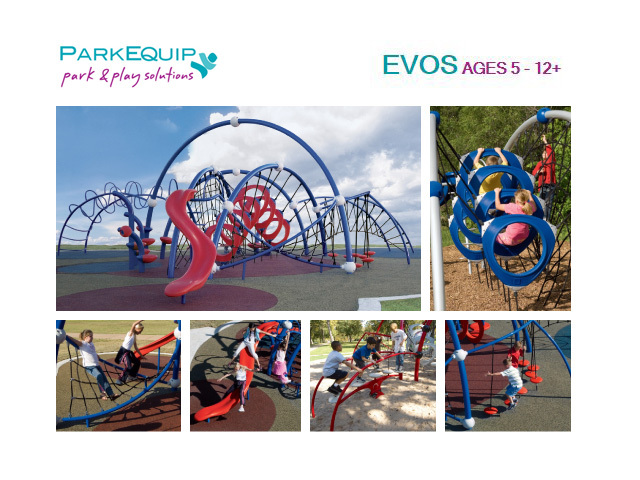 As the children grow, the EVOS system has been designed to appeal to the adventurous activity of the 5-12-year demograph. Springy climbing cables and suspended play events pose physical and mental challenges kids can’t resist as they climb up, wiggle through, bounce over and slide down. 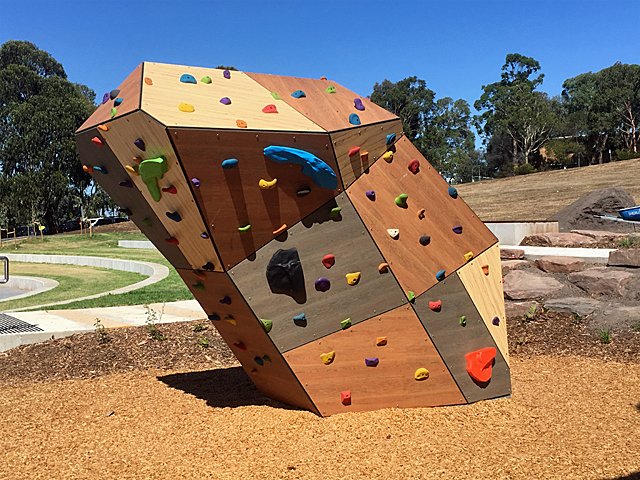 The Natural Elements play systems which incorporates realistic bark and rock textures set on nature-inspired components. 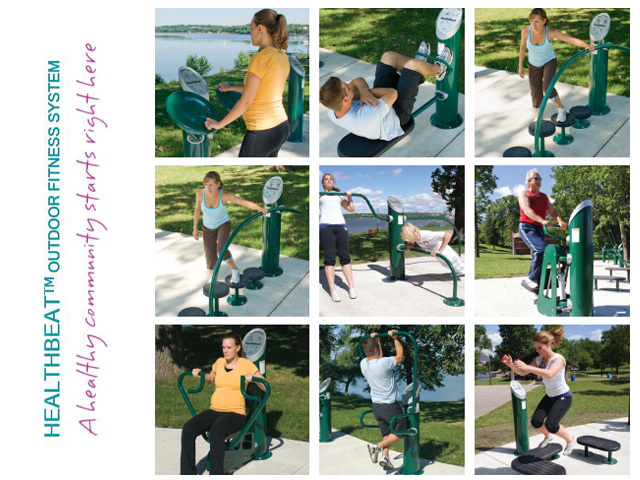 Outdoor Fitness Systems | The HealthBeat™ outdoor fitness system brings the best of the gym to the great outdoors. Cluster several stations together, place them along walking trails, or set one or more next to a playground so adults can be active too. Aquatic fitness systems are also available upon request. Street and Park Furniture | Parkequip offers an extensive range of courtesy, park, school and spectator furniture systems that are functional, durable and very economical. The seating, tables bubblers and miscellaneous furniture products come in a range of colours and materials. 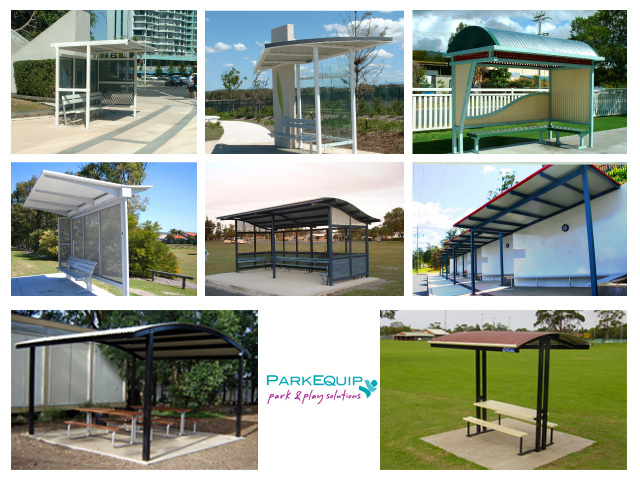 A series of bus and outdoor shelters are also available in a range of colours, materials and styles. 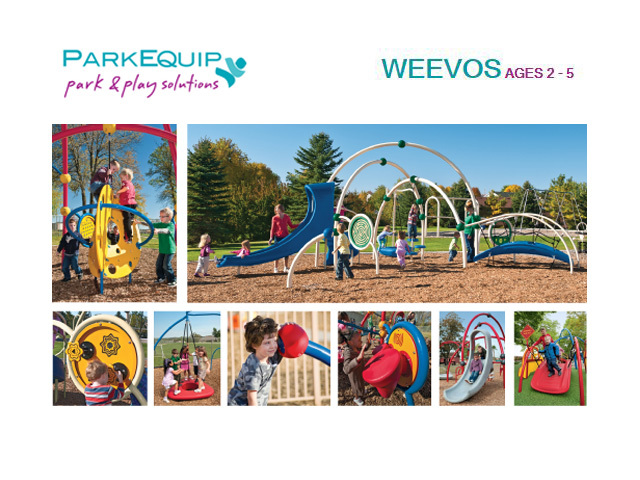 Don’t delay, speak to the team at Parkequip about your next park and/or play project today.